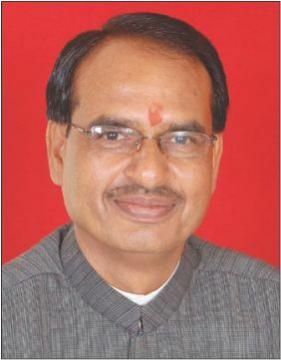 BHOPAL: Chief Minister Shri Shivraj Singh Chouhan launched the new-look website of Public Relations Department here today. He also unveiled mobile website m.mpinfo.org also. Public Relations Department's website mpinfo.org has been given a new look equipping it with latest techniques. Latest framework of new technology .net is used in the changed website. This has accelerated pace of searching and exploring. Home page of the website has been decorated with attractive colours. Social media, youtube, Facebook, twitter have been also linked. This has facilitated user to post their comments after use of the site. State Government's flagship schemes lime Mukhyamantri Annapurna Yojana, Mukhyamantri Swarozgar Yojana, Atal Jyoti Abhiyan and Mukhyamantri Tirth-Darshan Yojana have been specially highlighted on the home page. Photographs and news pertaining to ministers have been displayed separately so that these can be available to users easily. Apart from Unicode, matter is also available in Chanakya and Krutidev fonts on the website. This has increased people's access to the website. The website in new look opens in all kinds of browsers. This has increased its reach and dependence on single browser has been reduced.